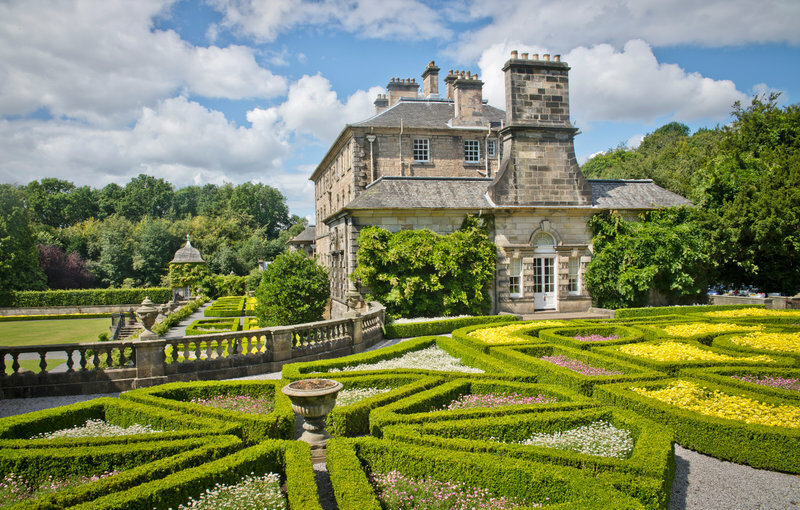 Depart Glasgow with a glimpse en-route of Whitelee Wind Farm, Europe’s largest wind far and on to Ayr-shire to visit the 18th Century Culzean Castle. The Castle dates from a peaceful time in Scottish history and has been associated with the Kennedy family since the 14th Century. Enjoy its dramatic cliff top setting, fine furniture and beautiful architecture by the famous architect Robert Adam. 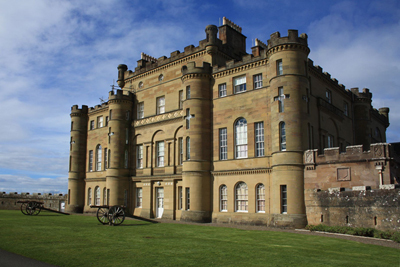 The castle is surrounded by Culzean Country Park (entrance fee) which has nearly 600 acres of stunning coun-tryside and paths through majestic woodlands and secluded ponds; it’s a great place to explore.There is a café for lunch or you may want to have a picnic in the castle grounds. After lunch you head into the heart of Burns Coun-try. Robert Burns, Scotland’s national poet, was born in Alloway. Travelling towards his birth place you can see many of the places mentioned in his poems and songs. Stop at the recently redeveloped visitor centre in Alloway where you have the oppor-tunity to find out more about this remarkable man. Perhaps his most famous song is ‘Auld Lang Syne’ – sung on New Year’s Eve throughout the world. Continue to Ardrossan where you catch the ferry to the Isle of Arran. You arrive into Brodick, the largest village on the island, which offers stunning views over the imposing stature of Goatfell, Arran’s high-est peak and Brodick Bay. You will be dropped off at your accommodation in Brodick. 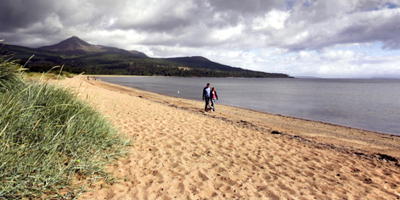 Known as ‘Scotland in Miniature’, Arran is alive with wildlife, rugged countryside, beaches, pubs, res-taurants and cottage industries. There are many options of how to spend your time on the island; depending on the weather and your groups’ interest, your driver guide will arrange the best day out for you.The North of the island is mountainous with the highest point on Arran - Goatfell. Measuring 874m the name is believed to mean “Mountain of Wind”. The village of Corrie and its neighbouring village of Sannox sit in its shadow and are home to some of the nicest beaches on the island. Here we also find the ruins of Lochranza Castle and Arran Distillery, one of the last remaining independent distilleries in Scotland. Arran is home to many standing stones and stone circles dating from the Neolithic period and the early Bronze Age. Machrie Moor has six stone circles and some stones are over 5 meters high! After exploring this area you travel south through the harbour vil-lages of Blackwaterfoot, Sliddery and Kildonan. Travelling back to Brodick you can see The Holy Isle across the water. Owned by the Samye Ling Bud-dhist Community, it includes the Centre of World Peace and Health. You might make a stop at the Arran Cheese shop for a taste of the local cheese or Arran Aromatics, a family owned business, which uses only natural ingredients to produce their luxury toiletries, which are famous all over the world. Also at Brodick is Brodick Castle and in the shad-ow of this imposing red sandstone castle you find Arran Brewery. This microbrewery blends naturally with its stunning surroundings, combining the is-lands unique water and the finest local ingredients. You can sample this ale in many of the local pubs and restaurants, a perfect way to end your day! Today you return back to the mainland by taking the small ferry from Lochranza and Claonaig. This short 30 minute crossing will take you onto the Kintyre Peninsula. You travel up this beautiful, lush green peninsula along its coastal road to the charm-ing fishing village of Tarbert. The name Tarbert comes from the Gaelic word tairbeart. – tar meaning “across” and ber meaning “carry”. The village sits on the narrowest strip of land between two bodies of water, forming a natural harbour. In past times ships docked in one loch, their loads then carried across the peninsula to the other loch where they were reloaded and shipped onwards. This meant the ships avoided having to sail round the danger-ous Mull of Kintyre.From Tarbert you follow Loch Fyne toward the whitewashed village of Inveraray, with some free time to explore this lovely village and have lunch. After you continue over the mountain pass ‘The Rest and be Thankful’. From here it’s a short drive to Luss and the Bonnie Banks of Loch Lomond before returning to Glasgow. 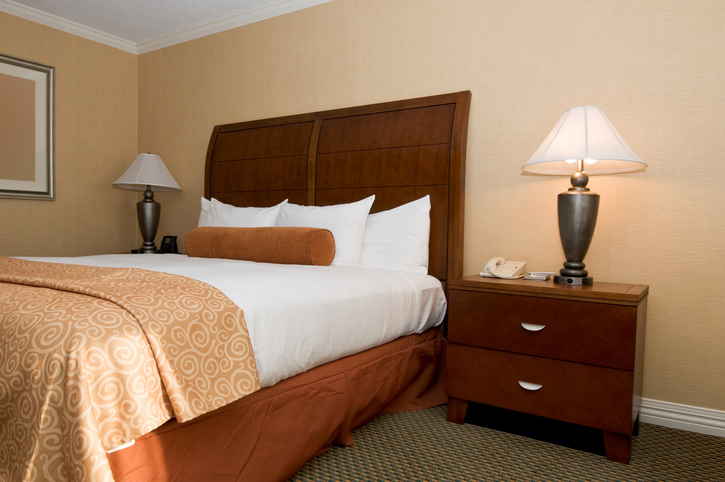 Make your own way back to your pre-booked Glasgow hotel.